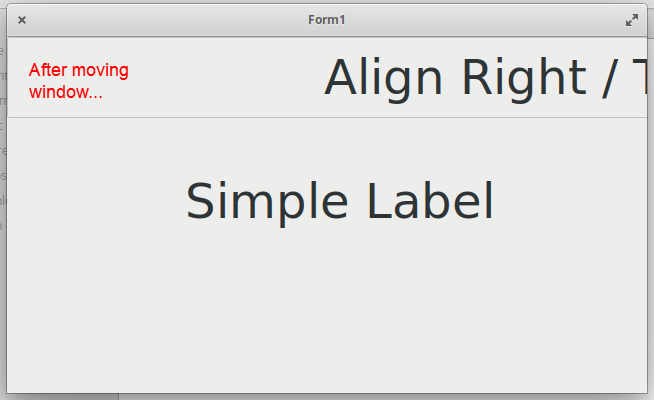 Right after start the dialog shows correct, after moving the window, controls with Right and bottom alignment partially or completely disappear. 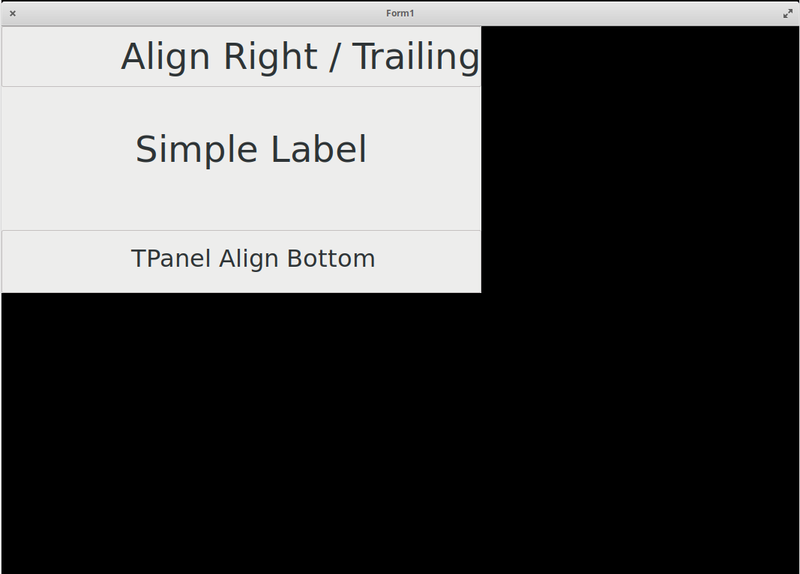 Also maximizing shows wrong corrupt sizing; restoring the window size using border icon is impossible. See attachments. ElementaryOS is very specific and use own Desktop Manager, so we don't have plan to support it by default. But, of course we will try to do something. Since FmxLinux is based on GTK+ it may be implementation of ElementaryOS desktop manager issue. 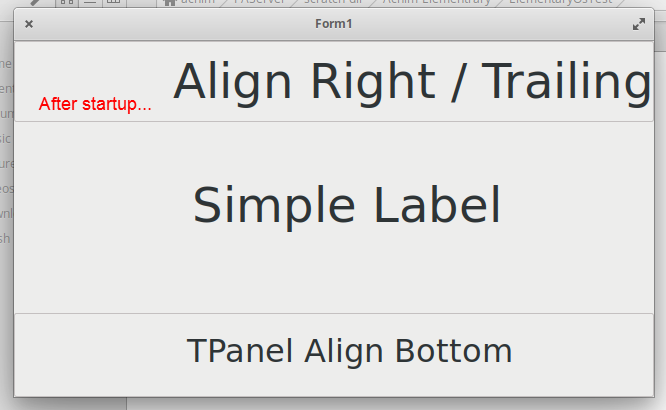 You can see that Elementary OS has an issue with GTK+ apps. Thanks for the link... too bad.